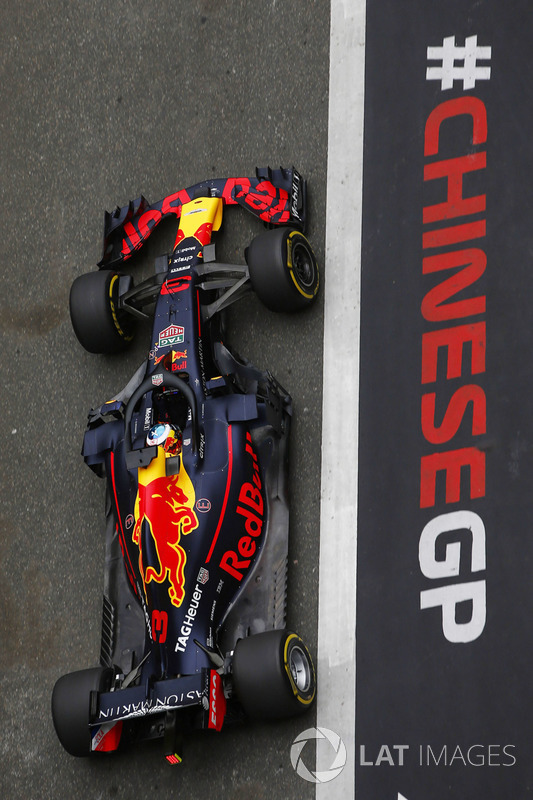 Verstappen gets a 5 place grid penalty for changing gearbox. Good news as he cannot crash into Ferrari at the start. Anyone betting this weekend? what's the best site internationally? I didn’t see any difference with the defuser, is this a new one? 0.9s slower is awful, i hoped we would've brought some significant upgrades but maybe they failed on the dyno or tunnels. Hopefully getting setup right for tomorrow will atleast get seb to fight the rb's , kimi is very happy with the car but i dunno why he is hardly faster than seb who can't get the car to do what he wants, i feel like there's a better chance of taking the fight to the others with seb. How in the God's name can we be a second slower after 5 days from last race??????? Wow the Italian page is suprising me again, a briliant analysis from todays FP1,FP2. Much better than the official f1 page or skysport. From what can be seen from these figures it seems that the Mercedes, both slightly ahead of the Ferrari . 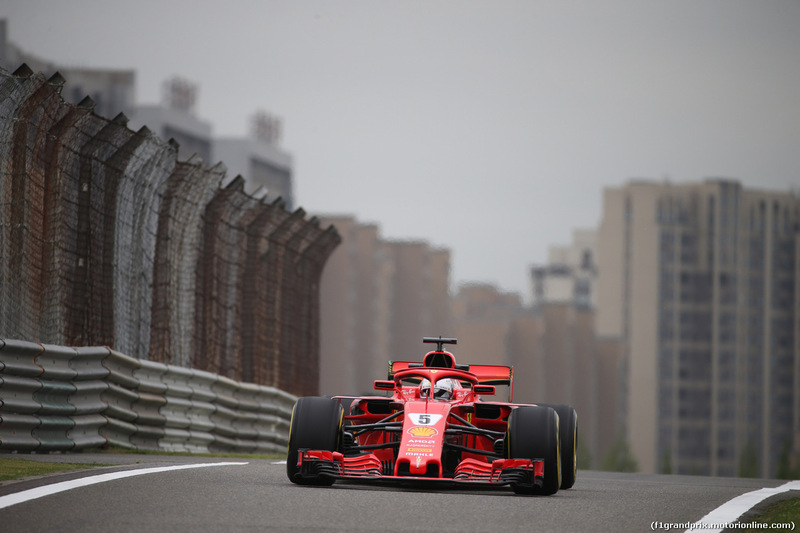 The Ferrari itself as one of the fastest cars on the straights and it's right on the straight that continues to gain ground on Mercedes. 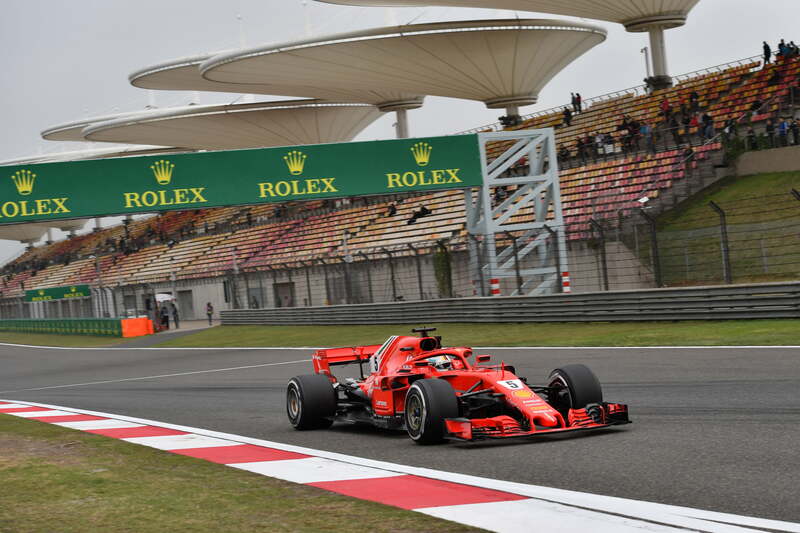 In curves, with the exception of 1 and 2, the W09, instead, it is confirmed more rapid compared to SF71H. The fight for pole position seems to be restricted to Mercedes and Ferrari with Red Bull being the third force. 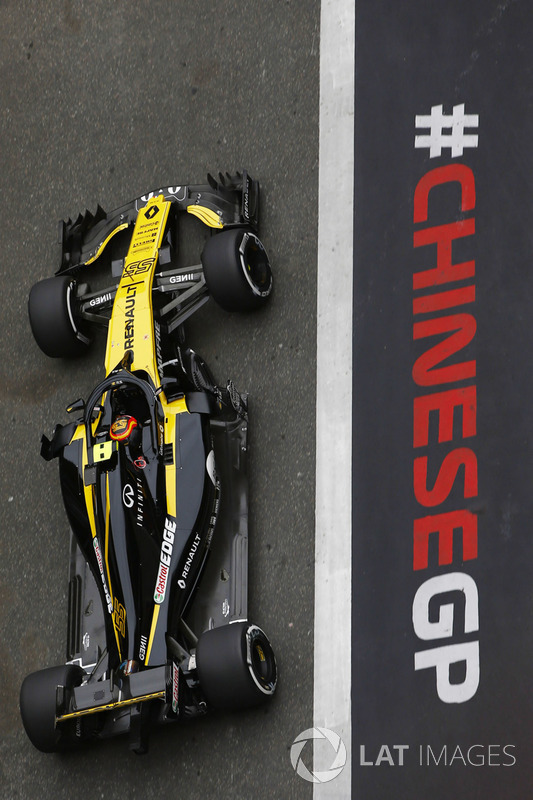 The theme of Milton Keynes will be working mainly thinking about the race where he has a slightly smaller gap than in qualifying since, Renault, it has an extra boost to get some mapping hp more in Q3 crucial moments. Analyzing the graph at the bottom are not seen big of performance decay of the signals to the exclusion of Vettel tires that has been hindered by traffic and a higher tire degradation than that of rivals. 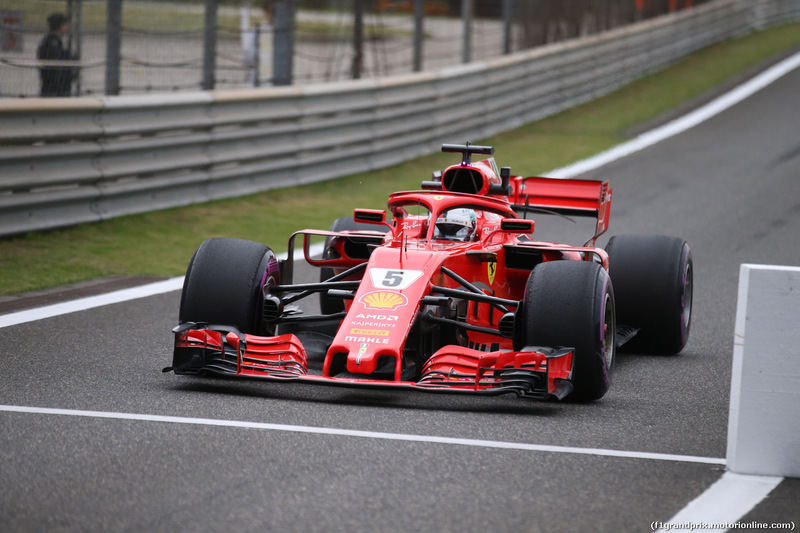 One thing similar to it was also seen in Bahrain, where Vettel began his race in a rather fast but towards the end of his stint Bottas was much faster than him demonstrating that, the Ferrari, stresses too the rear tires. 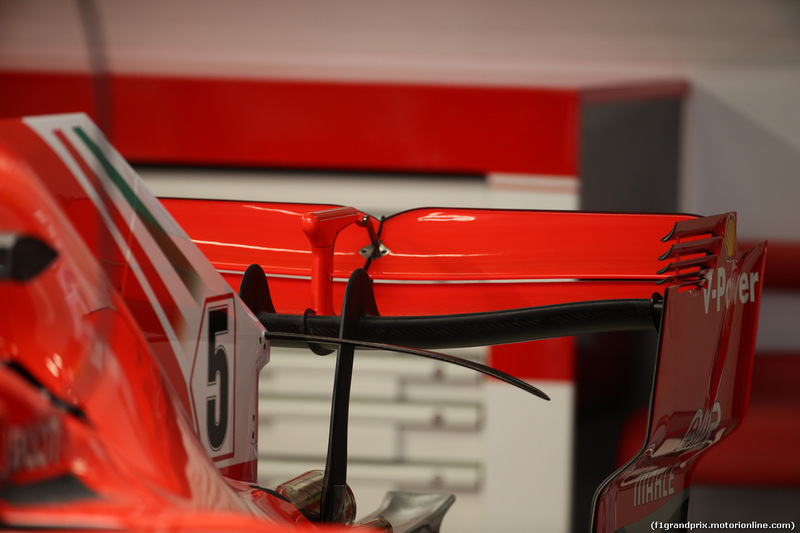 One problem that has also admitted the German Ferrari driver. 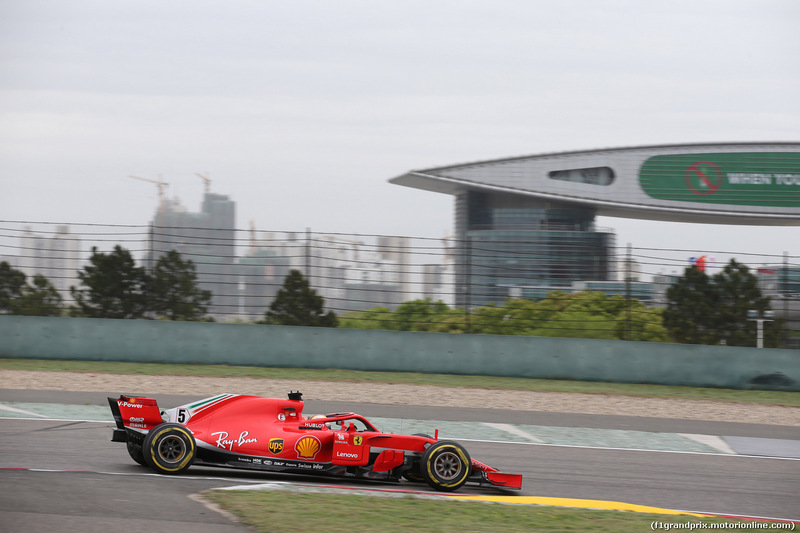 Among the drivers with medium tires, however, Vettel managed to distance of about one-tenth Bottas. 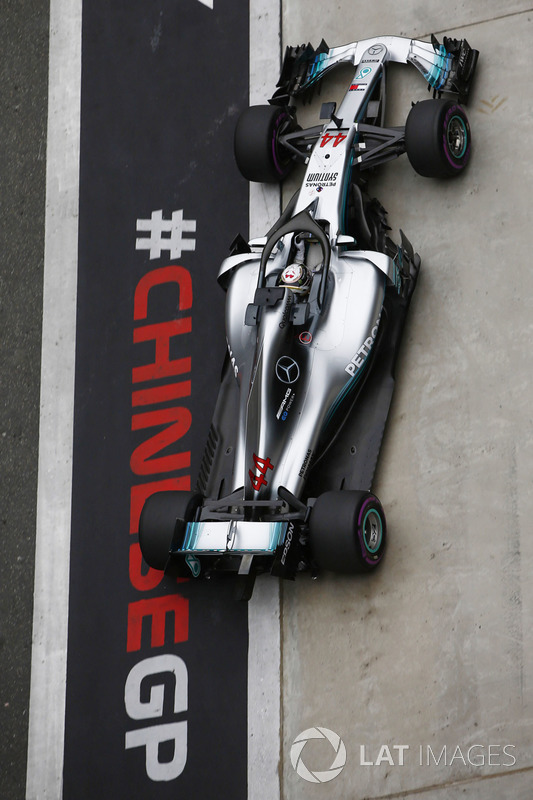 So we are having some problems with the US, interesting, in my opinion we are becoming a car that is heating up the tyres quicker as Mercedes. This should be good for remaining races (of course this might effect that our car will have more tyre wear in the race, we dont know yet). 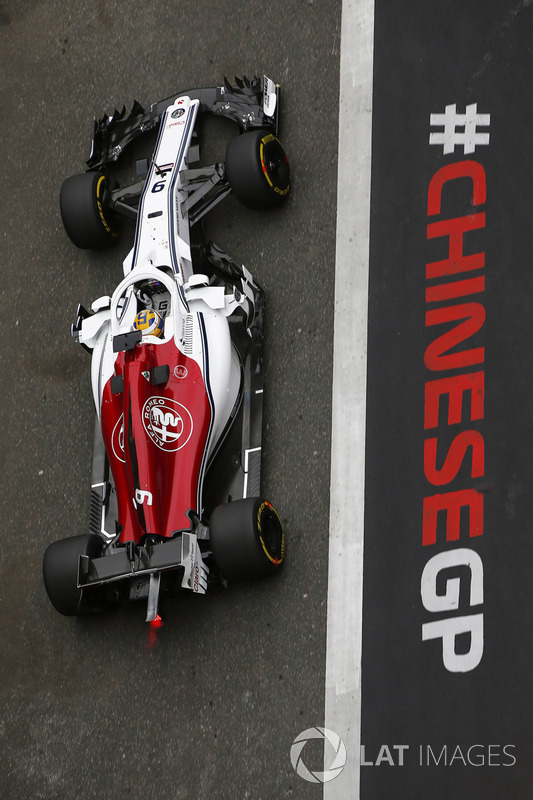 I hope that we will go in Q2 on the soft tyres, and then start with them and then just switching one time to mediums. 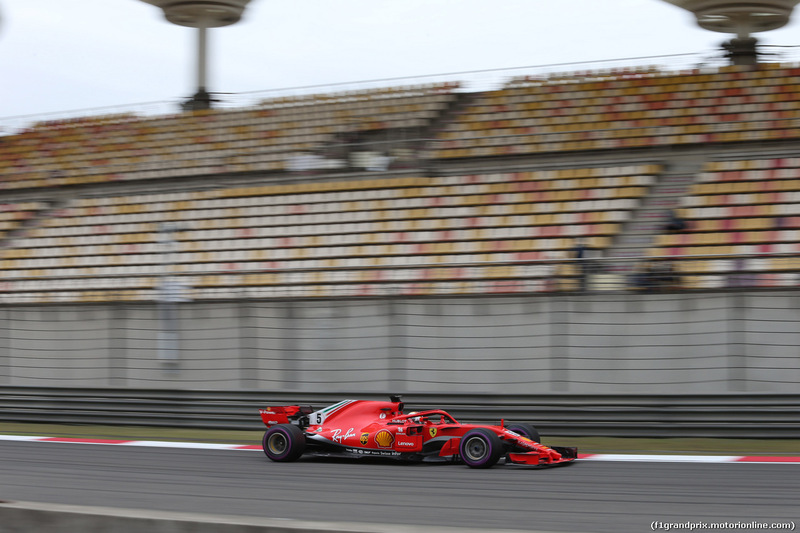 Last edited by Vettel165; 13th April 2018 at 18:32. A really really really worrisome type of guy life is short brother and a pure journey just chill out and enjoy the ride. Thanks to EVERYBODY who posts such beautiful pictures to this website, and also to everybody who brings information here as well. Well since cooler conditions favors the taxi's I'm going out pointless driving my car to widen the gap in the ozon layer and hope this warms up the earth so Ferrari take the WDC ^^ . Last edited by SilverSpeed; 13th April 2018 at 18:51. On sunday we are expecting a lot of sunshine and air temperatures reaching near 20C. That will mean much warmer track-temperature conditions as well, probably in the low 30s, which "might" be better for us. Looks like we will have a dry qualy and FP3. 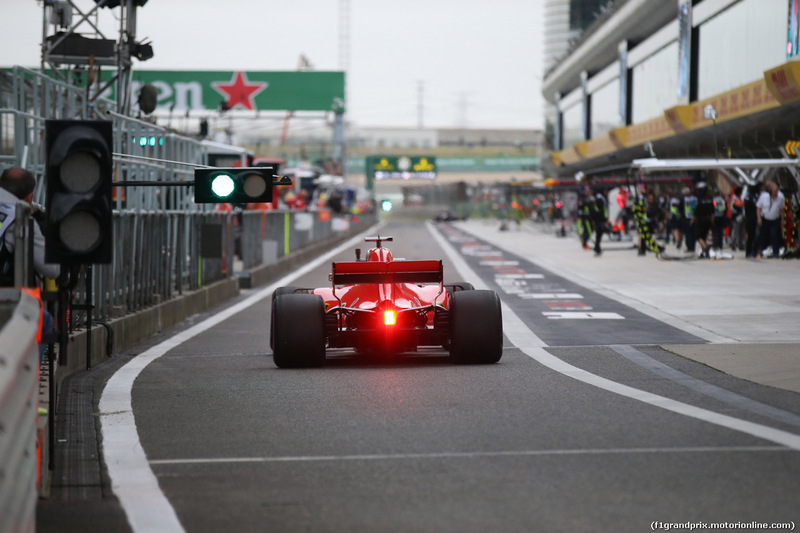 According to TS and their info from Ferrari, Kimi lost 0,4 seconds on his fastlap because of Ericsson. Can anyone notice anything new on the car? I don’t see anything. 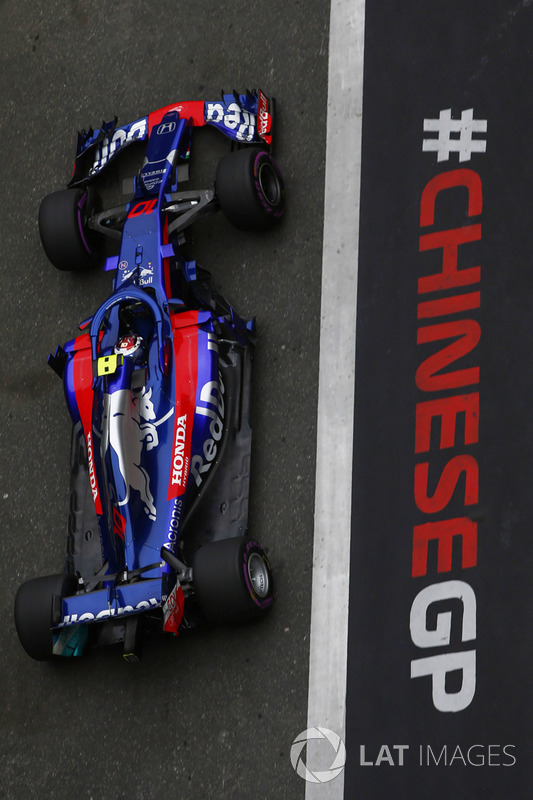 Interesting they had problems with oversteer, that is of course the logical reason for the more marginal drop of the pace on the US tyres on race simulation. 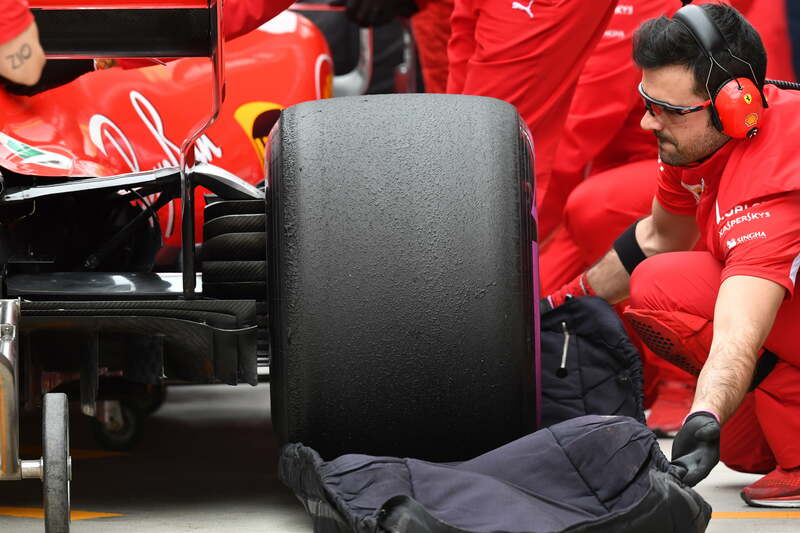 Teams will usually set the car with more understeer for the race, so the drivers can better manage the tyres. Oversteer is good for some specific corners, that you can get time, but in others you will get slower. Will see. Last edited by Vettel165; 13th April 2018 at 20:21. 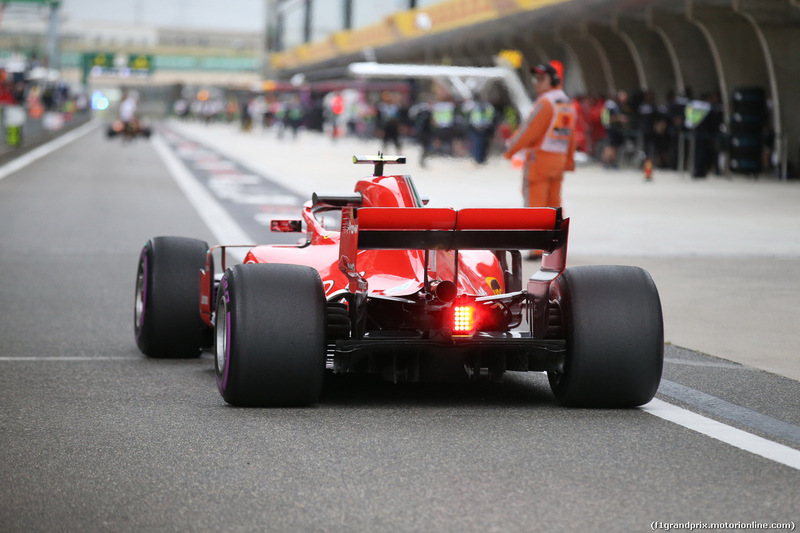 Kimi for pole position if he hooks it all up and is not impeded by erricson or any other driver he will be position 1 thats my bet he is the kimi of old very fast. 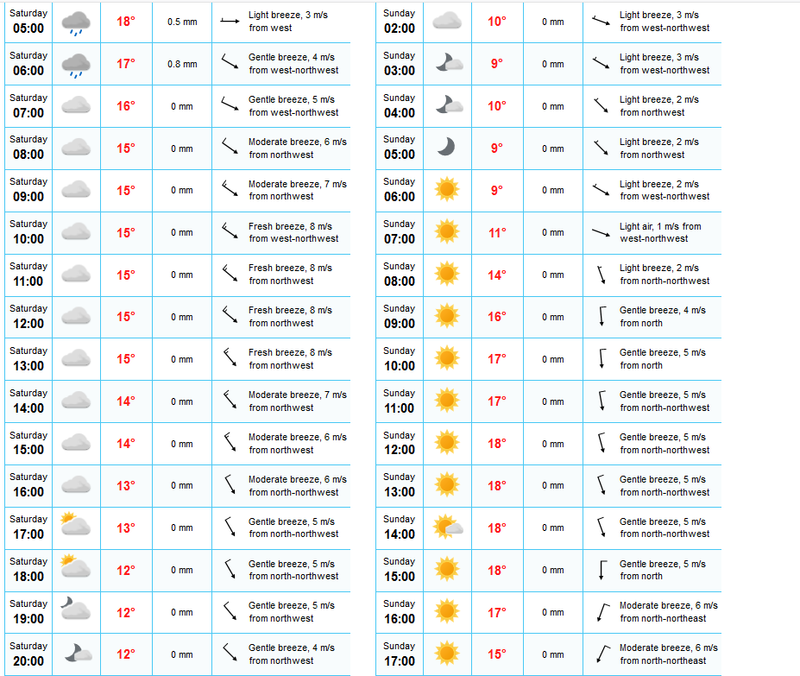 Does anybody know the weather forecast? 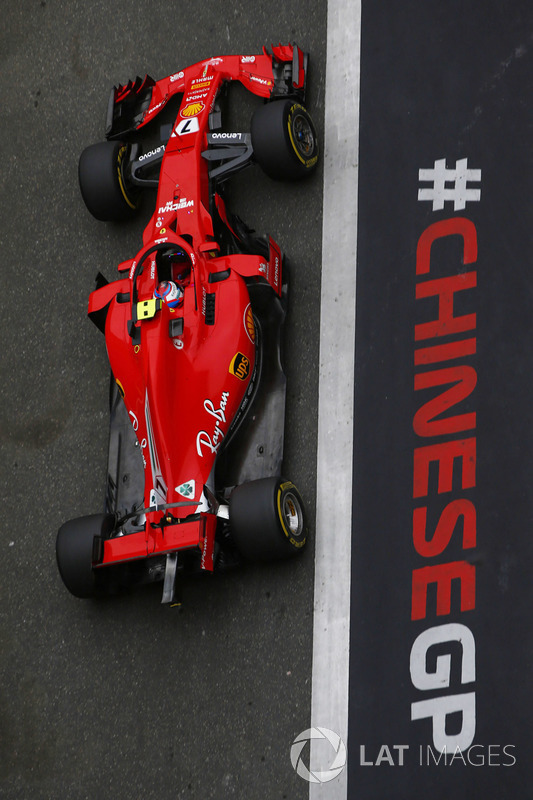 Ferrari have won 3 races out of the last 5. 1st team other than Merc to win 2 races in a row in this Merc designed engine era. Updates? 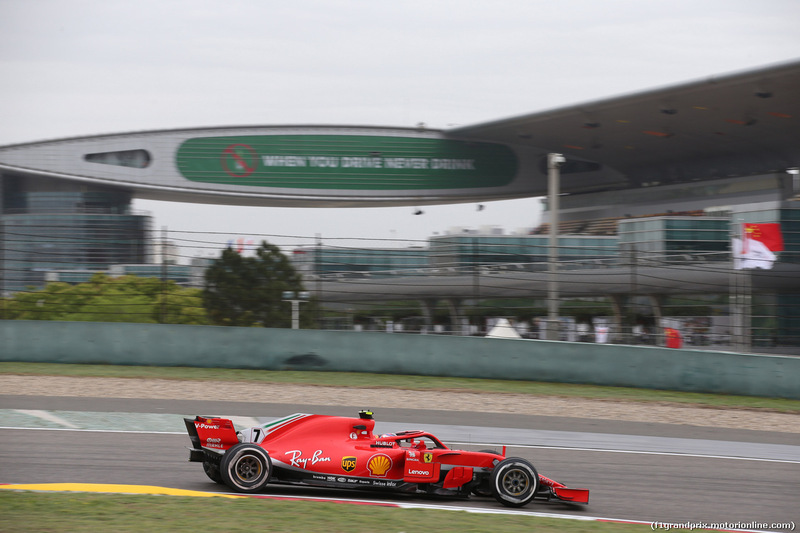 Ferrari won the 1st to races so not in a desperate situation for urgent updates like McLaren. Other top teams have not brought anything much either. Ferrari have the advantage....yes Bottas came close last race BUT could Merc havewon in a role reversal....? No chance, Vettel on a newer version of the same compound blew Hamiltons doors off as he breezed past him. Good chance this weekend to have a damn fine result. Every year theres a story of 2 drivers race in race out trying to occupy the same piece of track at the same time, we have had 2011 Massa and Hamilton, 2016 Bottas and Raikkonen plus Verstappen and Raikkonen on occasion, maybe this year Hamilton will be the same with RICHARD HEAD Verstappen. FP3 looks to be a wet one. 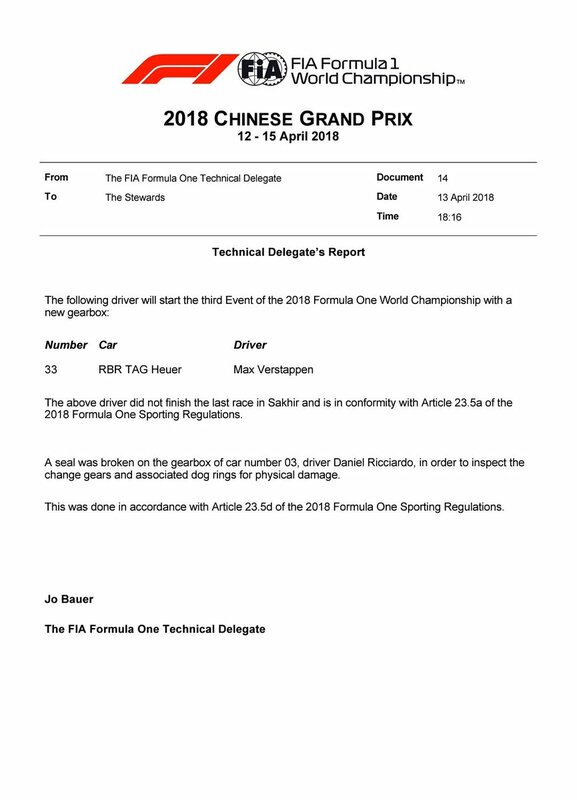 new gearbox for Max, no penalty incurred. Last edited by jgonzalesm6; 14th April 2018 at 03:03. Ricci's car is having issues. 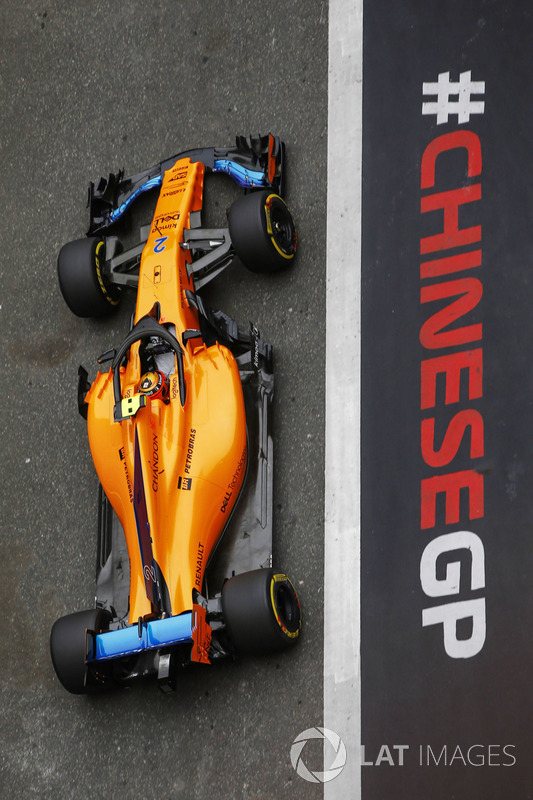 anybody with a stream for FP3? So can someone explain if we have our upgrades or is this the same car from Bahrain. I have'nt seen any upgrades.